The silver lining is that Trump’s expanded troop presence is meant to help fill lingering gaps in Afghan security capacities—including intelligence collection. On 20 January, the Taliban attacked the Intercontinental Hotel in Kabul. Four days later, ISIS assaulted a Save the Children office in Jalalabad. On some levels, these were just two more terrible tragedies for Afghanistan. The country is no stranger to such savagery; it’s been convulsed by conflict for decades. And yet, there was something especially demoralising about them. One of the targets was an aid group. The other was a hotel that caters to foreigners, including investors. Afghanistan badly needs aid—particularly for the demographic served by Save the Children—and investment. Infant mortality rates are among the world’s highest, according to the World Health Organisation, and acute malnutrition—an affliction that hits children hard— “has passed emergency thresholds” in 20 of Afghanistan’s 34 provinces. Meanwhile, the Afghan economy is in crisis. Annual GDP growth fell from 14 to 1.5 per cent between 2012 and 2015. It was 2.6 per cent in 2017. In recent years, 40 per cent of Afghans have lived below the poverty line, while the same percentage of young people were unemployed—no small matter in a nation where nearly two-thirds of the population is under 25. Unfortunately, the two recent assaults could undermine critical aid and investment. Save the Children temporarily suspended its operations in Afghanistan, and foreign investors may be inclined to consider scaling back their efforts. Such concern is understandable, because this wasn’t the first time these types of targets have been hit in Afghanistan. 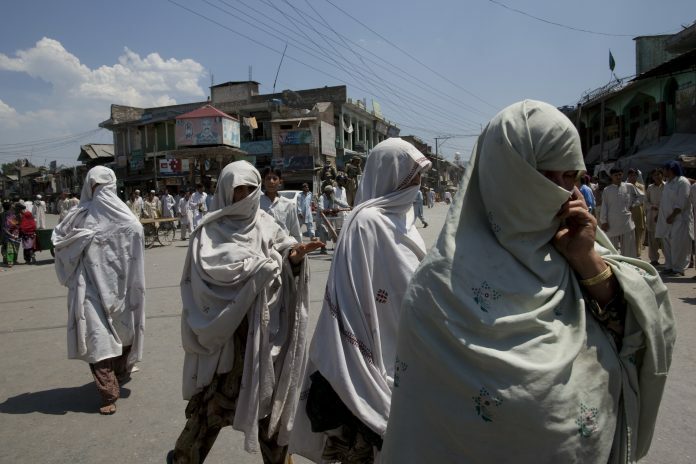 Workers from the Red Cross and other aid organisations are frequently targeted in Afghanistan. As of last year, Afghanistan was the second deadliest country in the world for aid workers. Meanwhile, the Taliban struck the Intercontinental in 2011, and it besieged the Serena—Kabul’s only other five-star hotel—in 2008 and 2014. The bottom line is that no one is safe in Afghanistan. Humanitarians and financiers are in the crosshairs as much as long-suffering Afghan civilians and the security forces meant to protect them. An optimistic observer—or an Afghan or US official trying to put a positive spin on a depressing state of affairs—may paint these attacks as a sign of weakness: Under increasing battlefield pressure and on the defensive, terrorists are turning to soft targets to showcase their continued clout. In reality, the terrorists are on the offensive. The Taliban controls or contests more territory than at any time since 2001. ISIS has survived an onslaught of military firepower to retain its stronghold in eastern Afghanistan and has recently developed a major presence in Kabul. One can easily rattle off the reasons for the militants’ strength. ISIS counts on continuous streams of recruits, including disaffected Taliban members and newly radicalised young Afghans, while fighter reinforcements from the Mideast are possibly surging in as well. Contrary to the conspiratorial musings of a certain former Afghan president, one need not attribute ISIS’s clout to the fanciful notion of American support. The Taliban benefits from record-setting opium harvests, a major source of financing; ineffective US military tactics; overmatched Afghan forces; and a capacity-constrained Afghan government that’s failed to convince a critical mass of the population that it’s a better alternative to the Taliban. In recent days, Kabul’s energies have seemingly been more consumed by a spat with a regional strongman than by an increasingly alarming security situation. And then, of course, there are the Taliban sanctuaries in Pakistan. Insurgencies with cross-border sanctuaries die hard, if at all. Yet when it comes to attacks like those on the Intercontinental and Save the Children—well-coordinated operations in relatively well-secured urban spaces—there’s another factor at play: State incapacities in intelligence collection. Many times in recent years, Kabul and other Afghan cities have been hit by attacks, including a massive truck bombing in Kabul’s diplomatic quarter last May, that prompt laments of “how could this have happened?” and are labelled as “intelligence failures”. Afghanistan often struggles to preempt and foil attacks like these; in the case of the Intercontinental assault, the US Embassy had even issued warnings several days earlier about possible attacks on Kabul hotels. Additionally, the ease with which attackers evade checkpoints to enter secured spaces has periodically prompted allegations of inside help. This would suggest insufficient screening of security personnel. If there’s a silver lining here, it’s that the Trump administration’s Afghanistan strategy—which includes increasing US troop numbers by several thousand—may help address these problems, even if modestly. The expanded troop presence is meant to enhance the ongoing training mission in Afghanistan and help fill lingering gaps in Afghan security capacities—including intelligence collection. Then again, the fact that these intelligence failures continue to occur, even after nearly two decades of US training and assistance, suggests that fixing the problem in a lasting way will be a tall order. Ultimately, perhaps what’s most demoralising about the 20 and 24 January attacks is that they targeted symbols of progress. Save the Children provides healthcare assistance in a nation that, despite acute health challenges, has enjoyed notable achievements—including major increases in the percentage of people with access to health care. Meanwhile, when it was attacked, the Intercontinental was hosting a conference of provincial telecom officials. One of Afghanistan’s unsung successes has been its telecommunications sector, which until recently was the country’s chief source of private employment. Sadly, in Afghanistan, the terrorists even try to snuff out the success stories.